Tel Aviv, the City that never sleeps, it is the most popular name received, Tel Aviv - Jaffa. The name was given to the city because of many reasons, the blue water of the Mediterranean seen every were and long coast-line, the hotels in Tel Aviv welcome the thousand of tourists who come to Tel Aviv to spend holiday & tours around the holy land.Jaffa (known as Yafo) is famous for its old city & ancient ports. Old Jaffa offers a variety of restaurants serving many different foods found nowhere else. 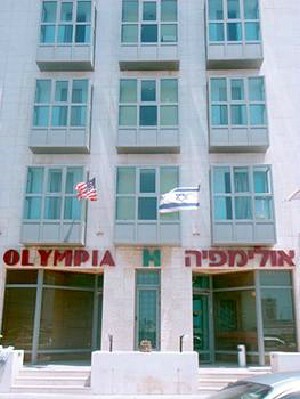 The hotel located next to Dizengoff Square, next to the main culture center, a few minute of walk from the Mediterranean Sea. 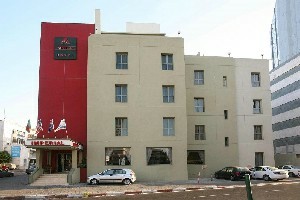 Olympia Hotel is located opposite the Gordon Beach & Gordon swimming pool and 3 minute walk to the Topsea Surfing Center. The hotel offers free Wi-Fi in the lobby area. 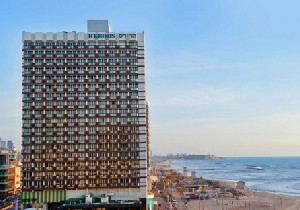 Imperial Hotel is located near the Tel Aviv promenade,45 Guestrooms, Business amenities, 24 Hour front desk. 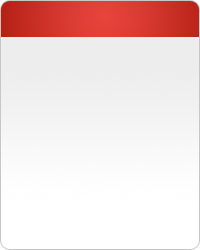 Parking and Wi-Fi access are for free (upon availability). 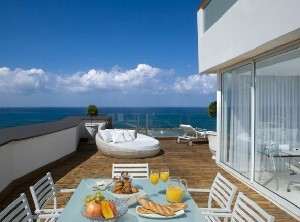 boutique hotel facing the sea shore, 5 minutes` walk from the beach, Rooms are decorated in a modern style. 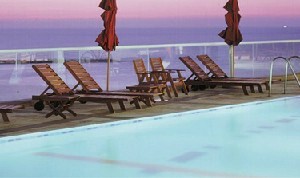 Park Plaza Orchid Hotel faces the Frishman Beach and is within walking distance to restaurants & shops. 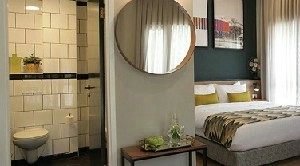 The hotel includes free Wi-Fi, free international calls & free bicycle rental. 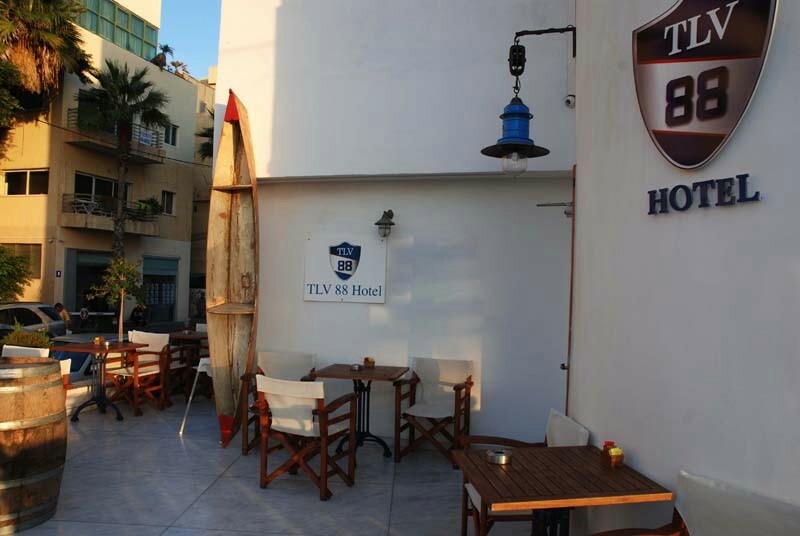 Alexander Hotel is located a step away from the Mezizim beach and the Tel Aviv Port. A 10 minute walk to the Bazel street, a popular street for shopping with many designer shops. Dan Panorama Hotel offers easy access to the Charles Clore Beach, a 10 minute walk to the Carmel market and Carmelit Bus Terminal, and around the corner are shops & a bank. Dan Hotel is situated near the Frishman Beach. Many shops, public transport and bars are around the corner. The hotel offers private parking and a daily newspaper. 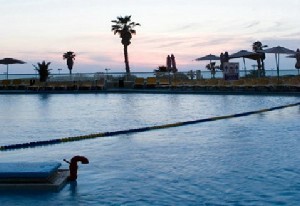 Herods Hotel is situated right across from the Gordon Beach, Gordon Swimming Pool & the Topsea Surfing Center. Many shopping streets are all within walking distance. Excellent hotel, excellent service and great food. We enjoyed the excellent dining excellent service and the hotel is cozy and clean. I go back there every time I sleep in Tel Aviv. Tel Aviv-Yafo is an Israeli city on the coast of the Mediterranean Sea. Tel Aviv is also the main part of the largest and most populous metropolitan area in Israel, known as Gush Dan (“Dan Aggregate”). The larger metropolitan area comprises a number of separate municipalities with around 2.2 million people living in the 14 km sprawl along the Mediterranean coast. Tel Aviv-Yafo has a population of over 300,000. Making it the second largest city in Israel. Tel Aviv is where it all is! All the action; Restaurants, bars, pubs, & an enormous array of shopping. Street fairs, the market (shuk) & famous Shenkin Street are popular outdoor, walk through shopping spots. Tel Aviv is also flooded with fashion malls. Fun-filled Tel Aviv, has everything from relaxation spots to adventurous zones. 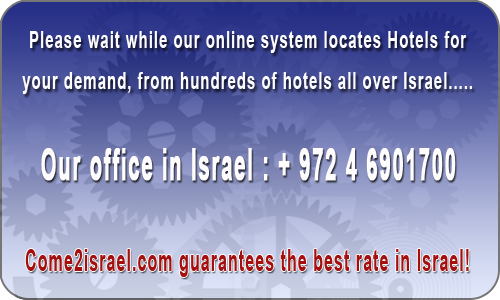 It´s the area in Israel one will have an awesome, time with a business or holiday stay. Jaffa (known as Yafo) is famous for its old city & ancient ports. Old Jaffa offers a variety of restaurants serving many different foods found nowhere else. Ват Yam is a city in Israel, on the central coastal strip, just south of Tel Aviv, and part of the Gush Dan metropolitan area, in the Tel Aviv District. The key feature of Bat Yam is its beautiful beach on the Mediterranean Sea, attracting tourists every summer. The town has several museums, including the Bat Yam City Museum Ben Ari, the Museum Ryback with a collection of paintings of the French Jewish painter born in Russia, Issachar Ben Ryback. There is also a little museum in memory of Yiddish writer Shalom Asch who lived his last years in this Israeli town of Bat yam. They have a Holocaust museum as well. 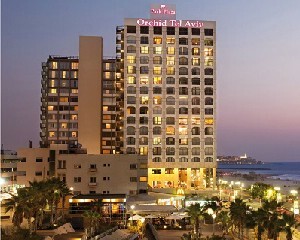 Of course there is The Hotels In Tel Aviv, that most of them located near the sea and the san.